Create Stunning Ambience with Light, Video, and Graphics from One Compact Source. Space Player provides hybrid illumination and projection to enhance presentation of displays and exhibits, or to create eye-catching signage in almost any location. 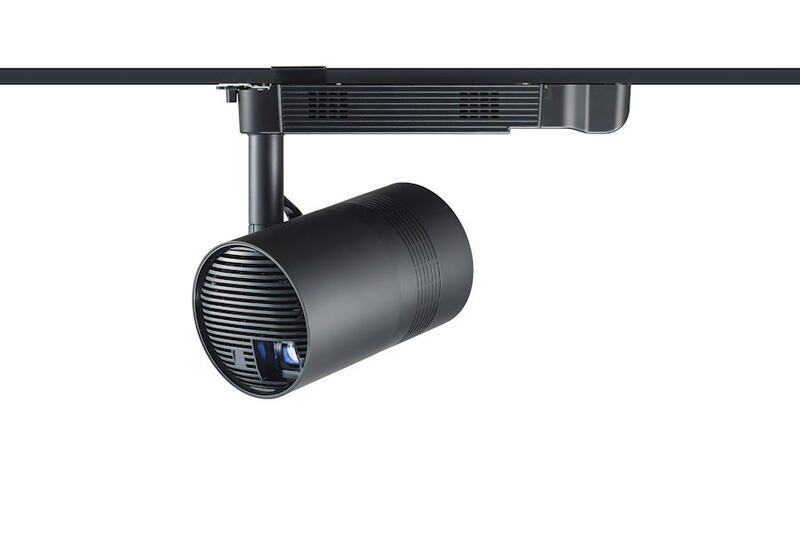 Combining spotlighting and ambient illumination with still or moving images in a compact, easily installed design, Space Player has the potential to transform your business. Filterless, dust-resistant SOLID SHINE Laser drive and optical engine means you can project for about 20,000 hours without downtime for maintenance. 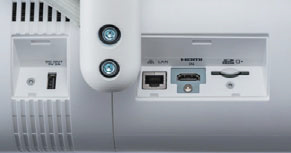 Access a wealth of projectable streaming content via apps on supported media player dongles (stick PCs) using HDMI input and USB power supply. Cue content using buttons 1–6 on the remote controller. Playback is matched to key presses, making it easy to achieve surprise effects. Note: Content takes 1–3 seconds to appear. Multiple units can play the same or different content simultaneously over network for impressive spatial enhancements of larger venues. Note: Sync lag of up to 1 second may occur. This free software controls up to 2,048 units over LAN network from a single PC—ideal for large AV networks, such as museums, houses of worship, and exhibition spaces. For monitoring, individual device status can be listed in groups, with more detailed information shown separately. Control functions include power ON/OFF, input switching, scheduling and command inputs. Lamps can blow, if you need your projector working and can't afford down time, you may need to keep a spare lamp. The replacement projector lamp for the Panasonic PT-JX200gb is the No Replacement.